Renault India is on a roll of late with the humongous reception the Kwid small hatchback has received among domestic customers. 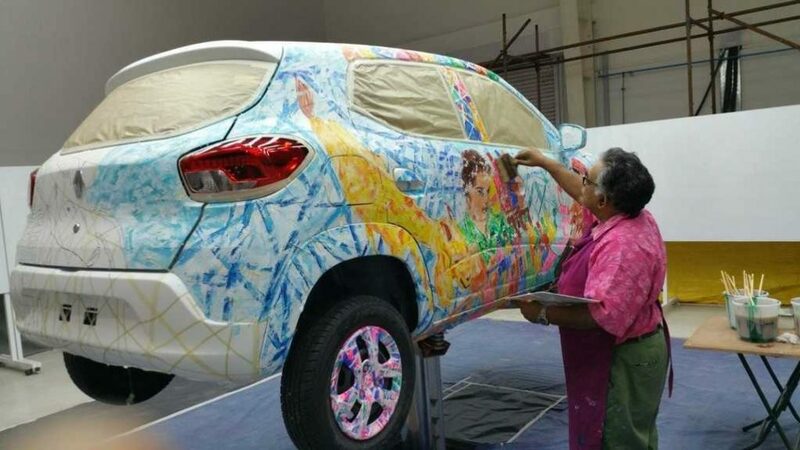 The French automaker is finding ways to further promote the entry-level model and as part of it the first ever Kwid Art Car was displayed for public viewing in Southern Mumbai on November 9. Painted by a French artist of Indian origin, Mr. Shombit Sengupta, the Renault Kwid Art Car was revealed by Mr. Yves Perrin, Consul General of France. The car was on display at the ICIA Gallery in Mumbai until 14th of November as part of Gesturism Art exhibition, established by him in 1994, called “Désordre”. The journey of the Renault Kwid Art Car does not end in Mumbai. Following its display there, it had been to Barbizon, 60 km south of France and showcased between December 10 and December 27. It will further be showed at the international motoring and art shows before entering the prestigious Renault Heritage Museum in France. 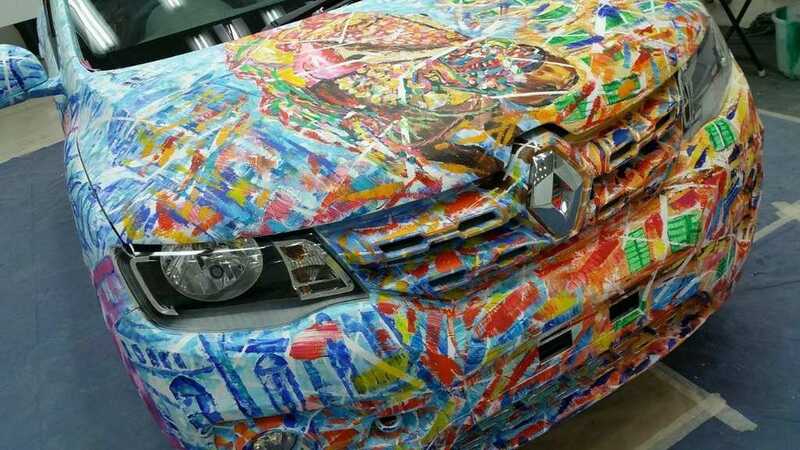 Mr. Sen painted the Art Car at the invitation of the brand said Renault’s Design Director Patrick Lecharpy. 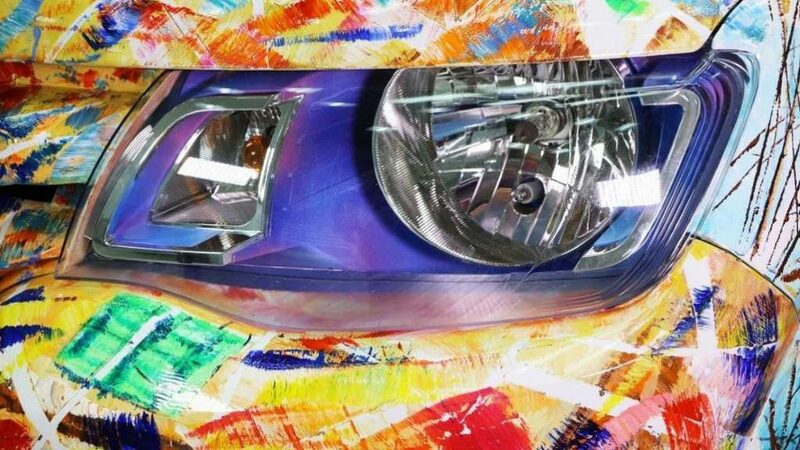 It was the first time an artist illustrated a story through car painting as opposed to usual art cars created by famous artists like Lichtenstein, Warhol, Koons and Calder that proposed only the artist’s own style. The artist, Mr. Shombit Sengupta, himself stated that he has always painted on flat canvas in his Gesturism Art style and that performing art on a three dimensional volume of Kwid was equally tough and exciting opportunity. He conceded that it required extreme self-discipline and recalled some of the areas he painted at Renault’s Design Workshop in Chennai that took him until 4 am in the morning.